Sometimes, God is active in the way details all unexpectedly fall into place. During this General Surgery Trip, we have been very fortunate to have several doctors participating who are not general surgeons. One of these is Dr. Kristi Fischer. 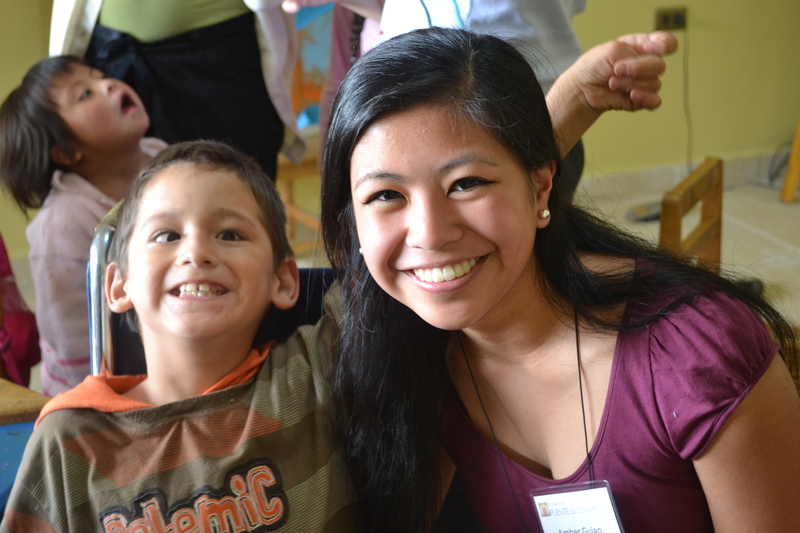 She is a pediatric physical therapist who works with Easter Seals in the US. In an effort to fully utilize all the gifts our team members bring to the table, we put out word that Kristi would be one of our visiting doctors. 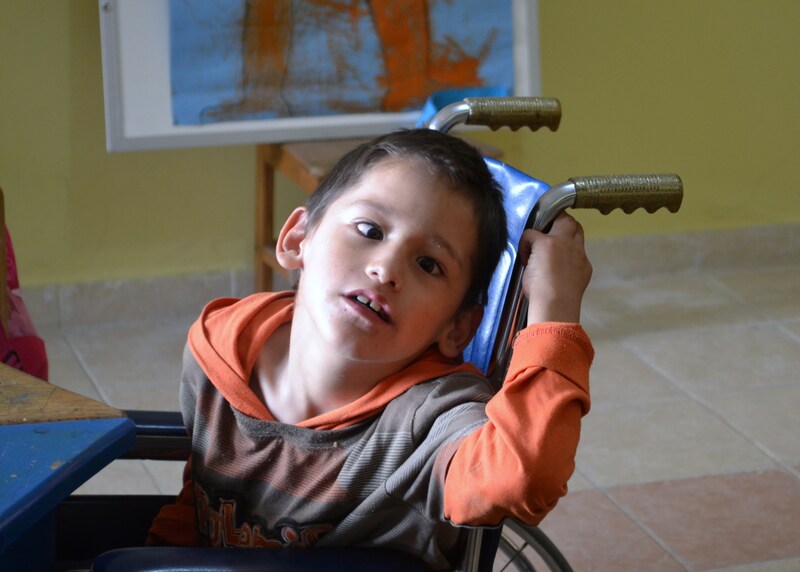 Right away, some of our Bolivian staff thought of Centro Sigamos, a school for children with various physical and developmental challenges. 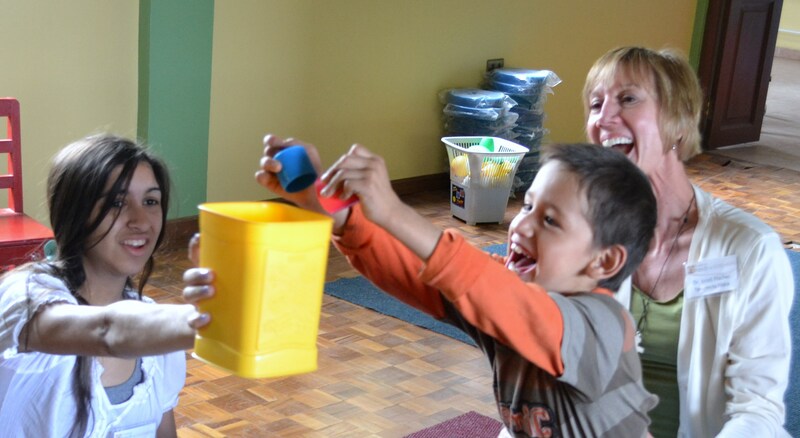 While Sigamos is staffed by a physical therapist and an incredibly dedicated crew of teachers, they are vastly outnumbered by the many children in need. One of these children is Brandon. Brandon is 9 years old and has cerebral palsy. Even though he is very bright, Brandon's nervous system function is impaired and he has difficulty controlling his movements, causing challenges in walking, speaking or performing any tasks that involve fine motor skills. In the US, Brandon's condition would have been treated with a variety of therapies and medications almost from birth, allowing him the greatest possible chance of living a long and somewhat normal life. In Bolivia, not all of these treatments and medications are available. 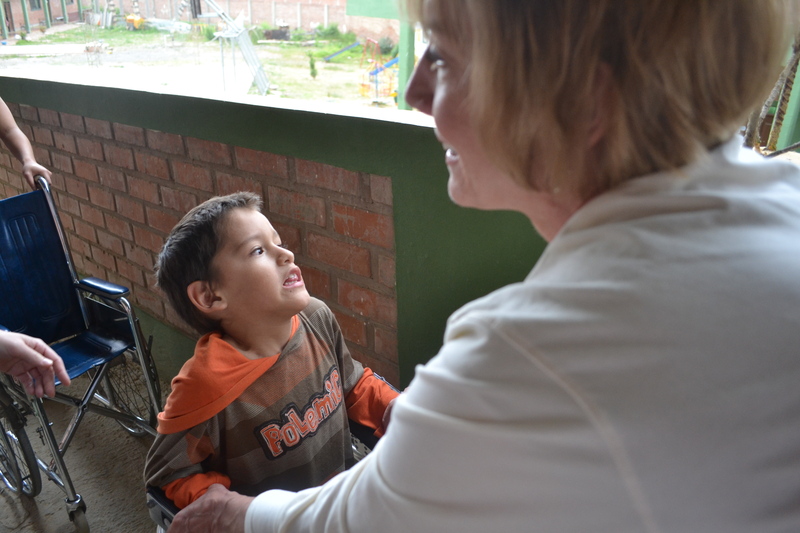 Though Sigamos has a wonderful physical therapist on staff, she serves 42 children and is only able to work half days. Kristi was enthusiastic about jumping in and helping wherever she could. With the help of our interpreter, Mary Luz Botera, Kristi offered therapy and treatment suggestions for dozens of children based on her years of experience in the US. Brandon's young mother has found it extremely difficult to raise a child with such a challenging condition. The steps Brandon has taken towards learning to walk during his time at Sigamos, and especially during this week with Dr. Fischer, will lessen his mother’s burden by increasing his independence and giving him a real chance of further mobility. So many people help us in our mission to heal the people of Bolivia and each contributes in their own way. While some are able to give financially, others give of their time in our office or of their talents on our staff or as missioners. Some people are able to donate badly needed medical supplies. Dr. Fischer was able to help in several of these ways. Perhaps the most poignant example is that every one of the orthotic devices that she had stuffed into two bulging suitcases for this trip brought huge smiles to the faces of the children they helped, as well as to that of the Sigamos physical therapist who told us, "These are gold!" For all of us working at Sigamos this week, at the end of the day what we remember most is Brandon and his huge grin. Our hearts are brimming from the fabulous connections we were able to make with so many of the absolutely beautiful children of Sigamos.